Well-placed in the shopping, sightseeing, and restaurants area of Ho Chi Minh city, Hong Hac Hotel provides a most conducive spot for you to take a break from your busy days. With its strategic location, guests are well located to enjoy the town's attractions and activities. A well-kempt environment and its proximity to Consulate of South Korea, Ben Thanh market, and Cho Dem Night Market give to this hotel a special charm. At Hong Hac Hotel, the excellent service and superior facilities make for an unforgettable stay. The hotel offers access to a vast array of services, including restaurant, tours, safety deposit boxes, laundry service, and salon. Wi-Fi is also available. Besides, the hotel's host of recreational offerings ensures you have plenty to do during your stay. 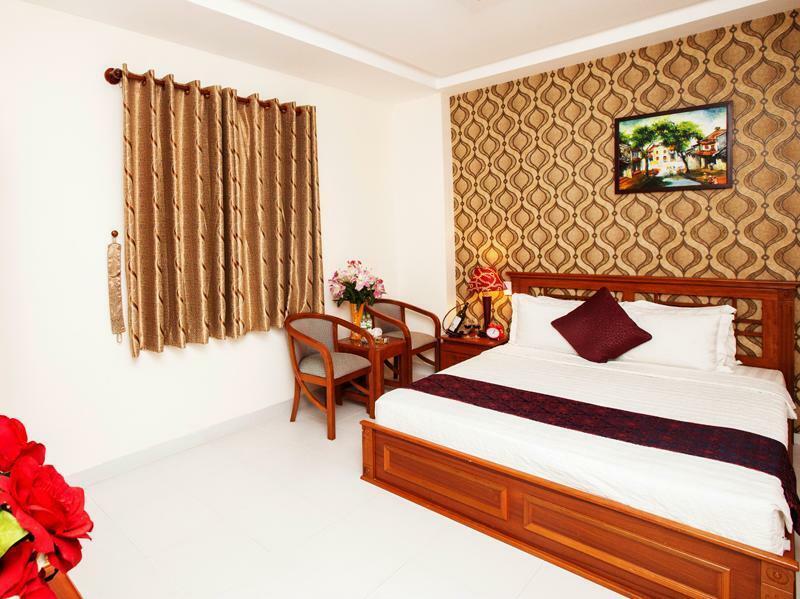 Hong Hac Hotel is an ideal place of stay for travelers seeking charm, comfort and convenience in Ho Chi Minh.